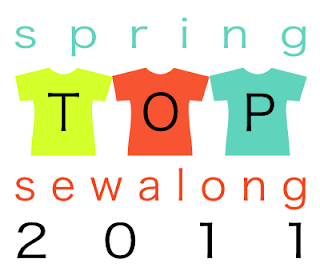 Spring Top week! again! Already! this year, all of my entries have a theme: SCRAPS! this shirt, for Lauren and for her store, and she was SUPER generous, and let me keep the scraps. (It's not in the pic, but I used the Anna Maria Horner "shattered suns" voile, also from Lauren, to make myself a version of the shirt, because I was scared to test a new pattern with really expensive Liberty, so I made both). ANYWAY, I entered these three shirts into the sewalong, because I love them. I especially love the blue one that I'm wearing as I write. LOVE LOVE LOVE.